Books About Greenwich Village Make Great Holiday Gifts! It's free, but reservations are required. Together in one room, we are happy to assemble a collection of diverse books about the history, architecture, people, and culture of the Greenwich Village area, so you can get a head start on your holiday shopping. Or you may want to buy them all for yourself! will be on hand to sign copies of the books you purchase. 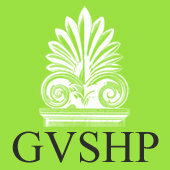 GVSHP's own book, Greenwich Village Stories, will be available too. What great gifts these will make, and all in one room!